Rarely heard of outside of southern New England, the little island of Cuttyhunk is most easily visited by yacht on a yacht charter cruising the southern New England islands. 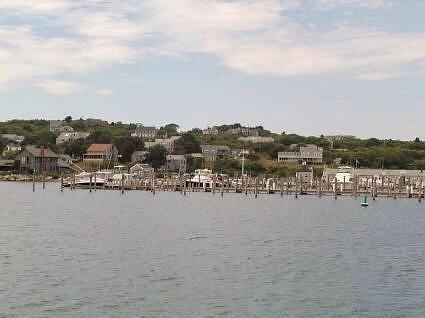 Considered one of the Elizabeth Islands, stretching south from Cape Cod, Cuttyhunk is the southern most of the Elizabeth’s, and while sparsely inhabited and not well known today, Cuttyhunk has been an important island in the history of New England. English explorers made landfall in Cuttyhunk in 1602, 6 years before Plymouth Plantation was founded on the mainland. In 1602, Bartholomew Gosnold, exploring the area with his men on board “The Concord”, built a fort on Cuttyhunk and stayed for a month, before returning to England. 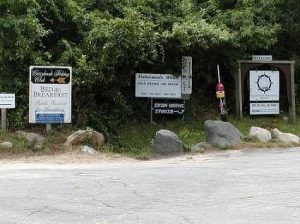 Cuttyhunk was in private ownership for several centuries, owned for two hundred years by the Slocum family. In 1858, the Slocum family sold and the town of Gosnold was established and prospered. South of Cuttyhunk are the treacherous rocks of the Sow and Pigs Reef, which is a hazard to yachtsmen today; the most notable accident the 1992 grounding of the ocean liner “Queen Elizabeth”. The residents of Gosnold in the 1800’s created a very lucrative business guiding whaling ships in from the Atlantic to New Bedford through these treacherous waters, guiding at the height of this business as many as 11 ships a day. However these same treacherous rocks are also an excellent striped bass fishing locations. Many world record striped bass have been pulled from these waters, and today this area remains an excellent striped bass fishing location. In the last half of the 19th century a very upscale fishing club was established on Cuttyhunk by powerful and wealthy men from New York City. From here on, island was buzzing with activity into the early 20th century, with a fireworks display every Fourth of July. Cuttyhunk is a mile and a half long and half a mile wide. At the eastern end of the island is an excellent natural harbor, which in the summertime offers safe haven for visiting yachts. There are also mooring balls available at the mouth of the harbor. Half of the island today is set apart as a nature preserve, and home to a wide variety of birds. 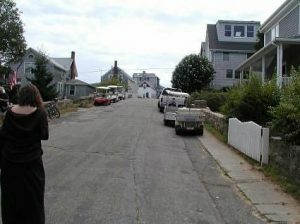 There are around 80 full time residents which swells to about 400 people during the summer. 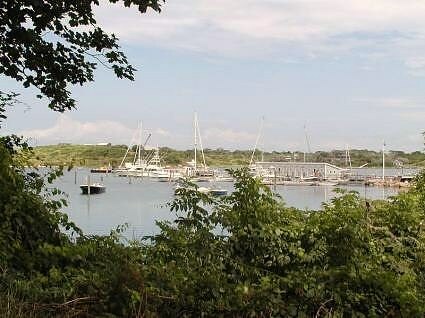 Shellfish farming takes place on the southern end of the island and striped bass fishing continues to be a large draw, however the real draw is the peace and quiet offered by this small little island with a natural harbor to easily slip into to enjoy the solitude and natural beauty of this little island.